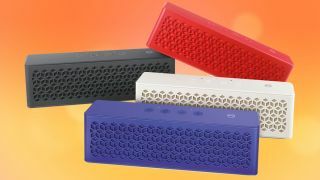 Creative has unveiled its latest portable Bluetooth speaker, with the Muvo mini's £50 price tag aiming to make it your new BBQ buddy for the summer. Featuring 1.3 inch full range drivers the speaker provides, in Creative's words, 'shockingly loud stereo audio'. Handily it boasts IP66 rating for dust and water, so it's not going to break on its first outing. The speaker charges via USB and also has an old school 3.5 mm aux in for your non-Bluetooth audio gear and it's available right now.